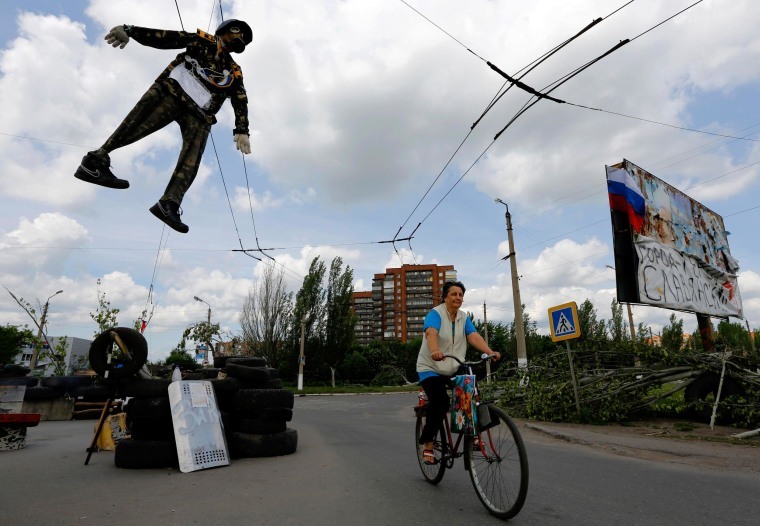 A woman bikes past an effigy of an Ukrainian soldier hanging above a pro-Russian checkpoint at the entrance of the eastern Ukrainian town of Slovyansk on Tuesday. A large majority of eastern Ukrainians voted in two separate referendums Sunday to break from the pro-West government in Kiev. The controversial vote is not being recognized by the U.S., Europe or Ukraine's central leadership.